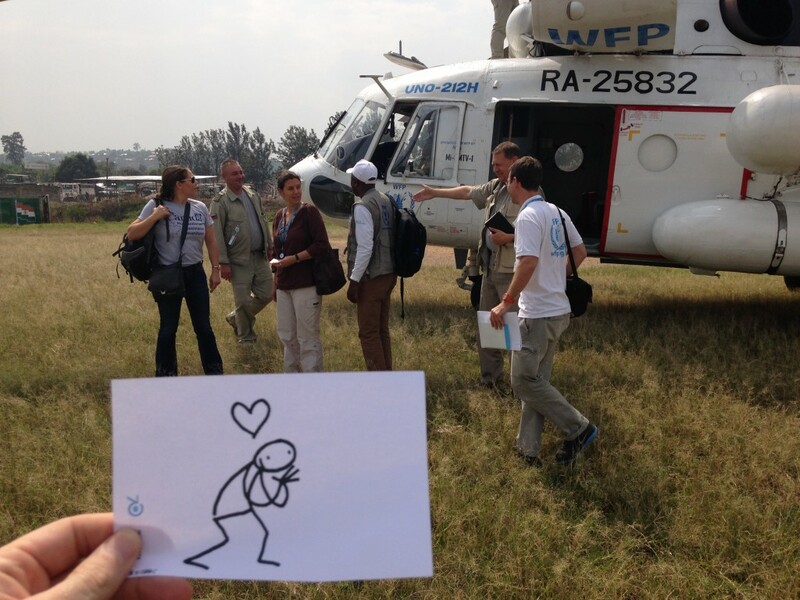 Today Elyx met with blue helmets of the UN peacekeeping mission MONUSCO. UN peacekeepers have been present in DRC since 1999. First as MONUC and since 2010 as MONUSCO. 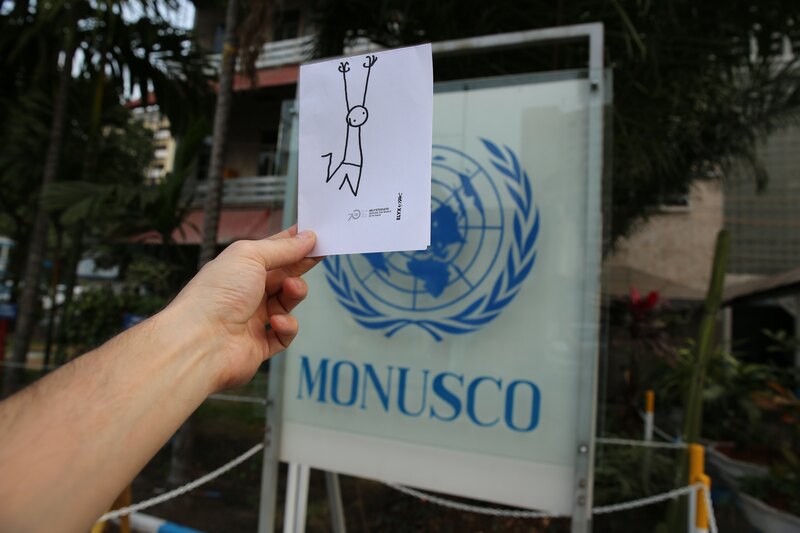 The ‘S’ in MONUSCO stands for stabilization and represents the new phase of peacekeeping. UN peacekeeping aims to aid countries to navigate the path from conflict to peace. However, UN Peacekeepers do more than maintain peace and security. They are also called upon to facilitate the political process, to protect civilians, to assist in disarmament and to promote and protect human rights. Over the years, the UN has built up a record of success, including winning the Nobel Peace Prize in 1988. 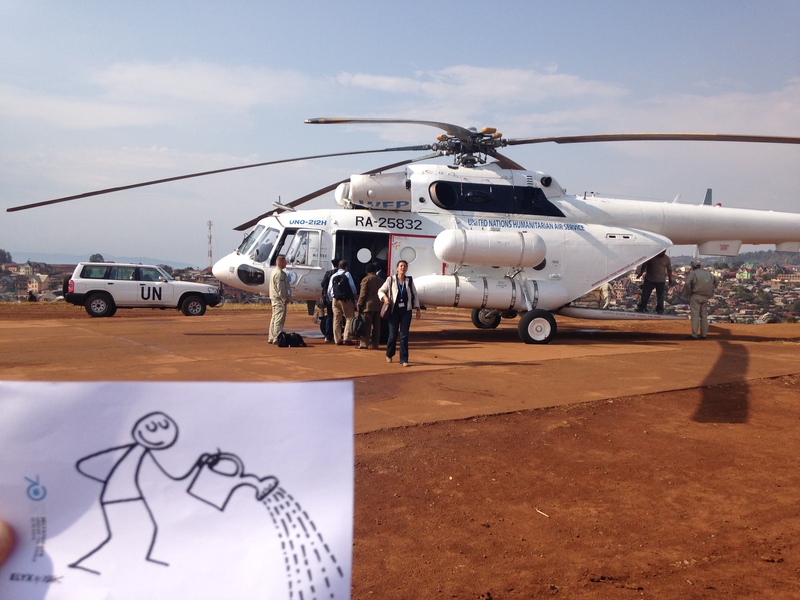 Elyx brings a water to the Democratic Republic of Congo (Photo: WFP/Olivier Le Blanc). UN peacekeeping began in 1948 and since then, 69 peacekeeping missions have been deployed by the UN. Over the years, UN police and other civilians from more than 120 countries have contributed to UN peacekeeping operations. Today, UN peacekeeping has more than 125,000 military and civilian personnel. The biggest contributors of troops are Bangladesh, Ethiopia and India. Together they supply more than 25,000 military experts, troops and police forces to UN peacekeeping missions. In terms of financial contributions, the most important contributors are the United States, Japan and France. There are currently 16 active peace missions across 4 continents. Of these missions, MONUSCO is the largest. MONUSCO is present in DRC to protect civilians, humanitarian personnel and human rights defenders and to support the Government of DRC in its stabilization and peace consolidation efforts. Elyx gets a ride in a 'chopper' ( WFP/Olivier Le Blanc). Since MONUSCO’s establishment, significant progress has been made and the situation in many regions of DRC has generally stabilized. Yet, the eastern part of the country continues to be plagued by waves of conflict. In 2013 an ‘intervention brigade’ was created to strengthen the peacekeeping operation. 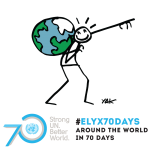 The peacekeepers informed Elyx that progress is made every day. For example, in 2014 ten ‘Islands of Stability’ were created in Eastern DRC to immediately restore state authority in liberated areas. Still, the situation in DRC remains dire and continued UN presence remains essential to the peace consolidation process. 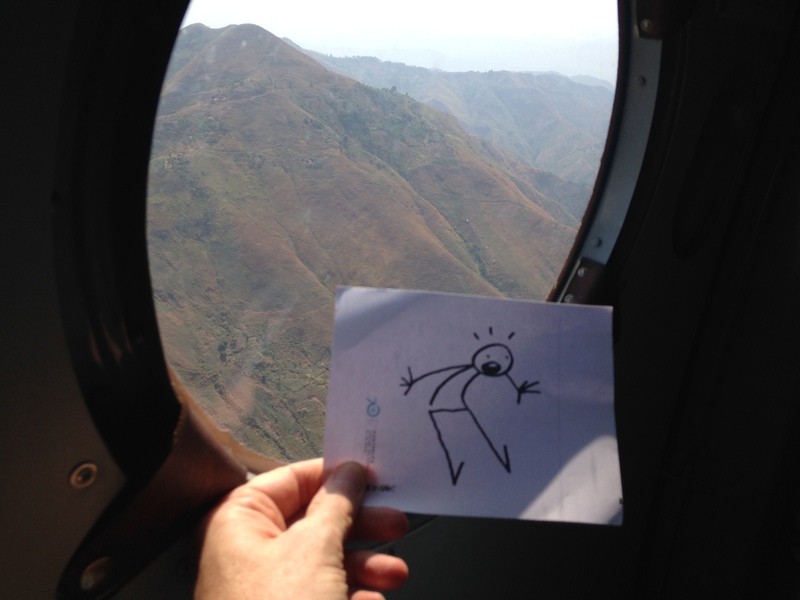 Elyx in DRC Chopper GOMA to bukavu with ASG Kang (Photo: WFP/Olivier Le Blanc).